Bana Alabed was seven when she heard bombing in her country. 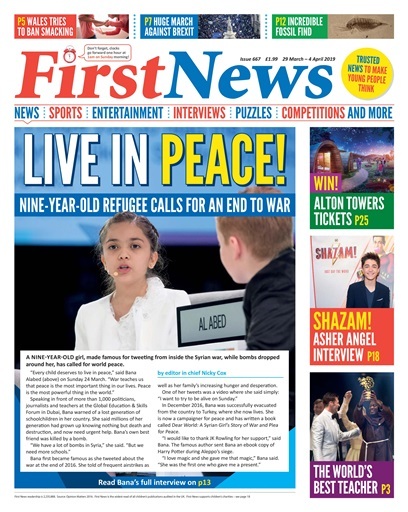 Now she's famous internationally, and on our front page this week, she makes her plea for peace. We're also covering one of the UK's biggest protests in history, the People's Vote March, along with the Global Teacher Prize – and you could win some awesome Alton Towers Tickets! 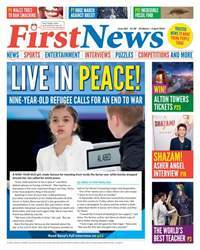 That, plus science, entertainment, animal news and more – all inside this week's First News!